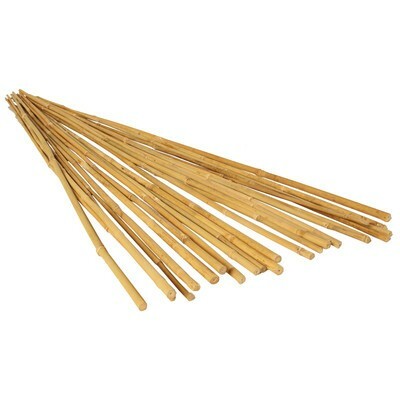 Bamboo stakes are all nature, strong, lightweight, inexpensive, weather well and last several seasons in the garden. Use these as plant stakes and markers, or as support for potted plants. With a few simple tools, bamboo stakes can also be made into fences, frames, arbors, trellises - any structure you can imagine. Lightweight with smooth attractive finish. Available in 2', 3' and 4' lengths.